Explore the organizations and people that power Vermont's $6.8 billion nonprofit economy. As of May 2018, Vermont’s 6,044 nonprofits reported $6.8 billion in revenue and $13.2 billion in assets in their latest Internal Revenue Service filings. The federal Bureau of Labor Statistics estimates that nearly 18 percent of the state’s workers are employed by 501c3s. Organizations like ProPublica and Guidestar both offer excellent tools that open up public access to the information contained in IRS 990s, the financial reports nonprofits file annually. But we wanted to be able to dive a little deeper — to see, search, sort and filter the organizations and people that make up Vermont’s nonprofit ecosystem. So we created this tool. Like dairy? Try searching for the Vermont Cheese Council. How about horses? Check out American Morgan Horse Association or Spring Hill Horse Rescue. You’ll also find the University of Vermont Medical Center, the Committee on Temporary Shelter and Middlebury College. Then, read Give and Take, our ongoing series of stories on Vermont's nonprofit economy. See something interesting? Want access to this data? Let us know! To build a list of Vermont nonprofit organizations, we pulled state listings from the Internal Revenue Service. Some Vermont nonprofits — about one-third — file digitally. That includes all of the state’s largest nonprofit organizations, like hospitals and colleges, plus many smaller ones. The IRS makes those filings available as XML files for public download, and tools like IRSx make it possible to understand what’s in those data files. In cases where electronic filings weren’t available, we pulled in PDF versions from ProPublica’s API, so that we could get a better idea of the organizations we were missing. In all, you’ll find more than 13,500 filings from nonprofit organizations in this database. However, there are some caveats. Not all nonprofits file annual financial reports — those with limited annual revenue, as well as ones that fall into religious, governmental or other exempt categories, are not required to file. 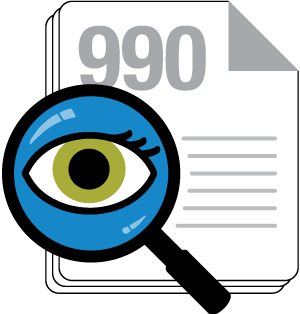 And even when organizations file 990s, they don’t always do them right. Get alerts when we publish stories about Vermont nonprofits.